Seeking resolution by changing how others think, not what they think. Some characters suffer from deficient psychologies. They may be strong, they may have the right moves, and they may have the right attitude, but when it comes to solving their problems something inside of them simply doesn’t work right. Stories featuring these characters find their structural problems firmly rooted in the way these characters think. Unlike the problems of fixed attitudes found in the previous article Uprooting the Fixed Mindset, these problems exist in motion. They defy stasis, preferring to incur their injury by jumbling up the process of one neuron firing to the next. When the way people formulate their thoughts becomes the impetus for strife, the only way out becomes to manipulate or re-work that inner process. Unable to follow your dreams because others have different plans for you? Resolution here comes in the form of inventing a new and far better concept of how to live. Unable to live your life the way you want because others want you to pretend to be something you’re not? Carve out a new role and be what you want to be. Success will follow. Unfamiliar with stories like this? Not if you’ve seen Ratatouille or The Incredibles. In The Incredibles, trouble begins for everyone with the post-Sansweet tidal wave of lawsuits. Cut-off and forced to live a life they certainly weren’t born for, the Supers do their best to fit in. They don’t look towards taking down Syndrome—or any other villain for that matter—because they understand that such an act would not resolve the issue at hand. This isn’t The Matrix. Rather, the only way to overcome problems of psychology like this lies in reconnecting the synapses in a brand new way. Be the superhero family they were born to be—a goal that they never truly reach until Violet raises her final shield of protection—works as the only viable solution. My Fair Lady explores the same type of problem. Here, turn-of-the-century London hosts discord between the classes when a phoneticist claims he can turn a Cockney flower girl into a princess. Once the girl initially agrees to the scheme, the events that follow work in service towards completing that goal of putting on the ultimate show. The finish line of the story consists of this girl pretending, or appearing, to be something more than she is. Once the Hungarian phonetician buys the act hook line and sinker, the problems at-large cease and the film’s logical storyline comes to an end (“You Did It”). The emotional throughlines still need wrapping up, but as far as the larger problem goes the young flower girl made a convincing transformation. In both stories, acting became the focal point for Protagonist and friends. Their success required them to be a certain way. But what of stories where the act simply isn’t enough? In Room With a View a young English girl finds herself surrounded by well-meaning, yet narrow-minded people. Beyond simply differences of opinion, problems in this Merchant-Ivory film stem from how people process their thoughts. In that respect, the only path to resolution lies in young Lucy reorganizing her own internal process. She does this by truly realizing her full potential. Note the difference between this and the family of Supers above “living up” to their potential. The comic book heroes already had what they needed within, they simply needed an opportunity to act that way. Lucy, on the other hand, and participants in stories like hers, needs to become something much more than she already is. Her essence must change. Beginning with Mr. Emerson’s brash decision to switch rooms and ending with Lucy’s final decision to stop denying true feelings, the young girl’s final transformation resolves the problem at hand and brings the story to a close. An Officer and a Gentleman takes a similar look at psychological rearrangement. In this story, the decision to join the Navy’s Aviator Officer Candidate School creates problems that can only be solved by a complete transformation of character. Satellite players manipulate and coerce—some in an effort to get candidates to drop-out, others in order to tragically marry. And while considerable bouts of physicality highlight the film’s events, the rigors of psychological training dominate the dramatic battlefield. The decision to show for graduation completes the metamorphosis of character, made apparent with a gesture unseen in more common ceremonies. In both cases, the transformation of the central character operates as more than simply an act of character growth and more as a focal point of purpose the cast aspires to. In the world of Ratatouille balance shifts when an aspiring rodent separates from his family. Finding opportunity within the walls of a failing Parisian restaurant, the young upstart sets out to convince others to think different. Hijinx and hilarity ensue, yet it is the inability of everyone to accept the idea that anyone can cook that stokes the oven of conflict. The harsh critic’s final appearance at a truly unique dining invention reverses this trend, restoring balance to their world through a gentle act of acceptance. 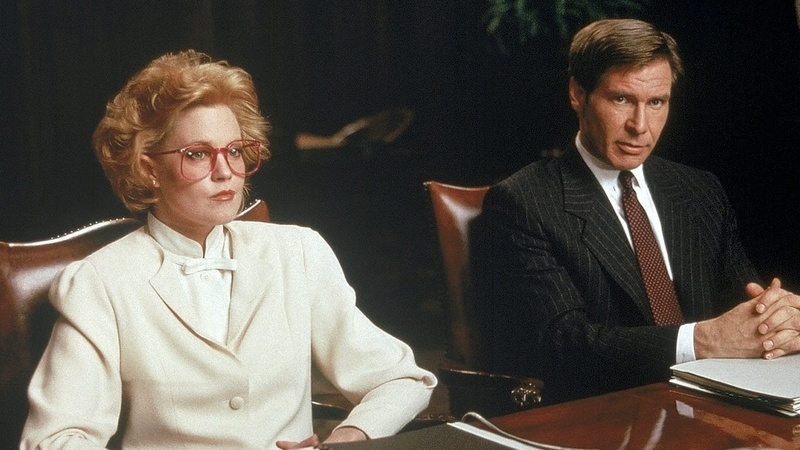 Aspiration also sets the stage for conflict in Working Girl. A working-class secretary’s decision to insult her boss grants entry into the treacherous world of mergers and acquisitions. Here, the lure of a new idea makes backstabbing and dishonest manipulation commonplace. It also provides a glimpse as to what is needed to succeed, a glimpse at the goal of the story. For one to climb the corporate ladder one must engage in psychological combat not needed on the battlefields of Braveheart or Lawrence of Arabia. Resolution arrives with the secretary’s explanation of how she conceived of buying into radio, the ensuing shift of power signifying a successful accomplishment of the story’s goal. Regardless of the cast’s physical composition—digital or analog—the structure of stories built around the need for a new idea operates the same. But what of stories where the simple introduction of a new idea isn’t enough? What about stories that require a visionary to pull it all together? A daughter’s decision to move out brings quiet turmoil to a Chinese family in Eat, Drink, Man, Woman. Upsetting the tender balance of father and three gives rise to the central dramatic question of the story: How can they keep the family together when they no longer share the same physical space? This inquiry ignites the search for a solution, its answer claiming the spot of story goal. One by one as the family fractures evermore, the hope of success continues to diminish until at long last the father acquiesces to his daughter’s new role as patriarch. A new concept of family gives a satisfactory response to that burning dramatic question and restores peace to those beset by it. A little louder, yet no less functional (at least story wise), sits the Farrely brothers’ There’s Something About Mary. This time, however, the promise of a new concept involves tearing down connections rather than building them up. Lying, cheating and stalking sum up the bulk of this game, potential suitors manipulating and coercing their way into Mary’s heart. The goal for all? To somehow convince Mary to imagine life with them and them alone. Her final choice brings closure to the contest and relief to tear-stained faces. Story goals of psychology chart unfamiliar territory to many an Author. How much easier is it for one to think of something tangible or worldly for their Protagonist to aspire to? Yet, the goals of invention and conception inhabit our everyday lives, as much, or even more so, than our efforts to gain or secure Earthly treasures. So too do the goals of being a certain way and of becoming something brand new, these last two groups complementing the first two in a way that offers a full exploration of solving through better thinking. Dramatica categorizes these four areas of exploration under the Domain of Psychology. The Goals of Being, Becoming, Conceiving, and Conceptualizing find a home within this corner of the structural chart. Later versions of the theory rename these Types to Playing a Role, Changing One’s Nature, Conceiving an Idea, and Developing a Plan. These replacement terms may offer easier comprehension, yet do so at the cost of accuracy. Regardless, the idea that a story can find its roots within the broken thought-processes of characters should be enough to inspire and perhaps even motivate Authors to write more engaging, thoughtful stories.